NEW YORK: Ketchum is continuing its work with the Russian Federation amid political unrest in Eastern Europe, but the agency is not advising the country on foreign-policy matters. "Our work continues to focus on supporting economic development and investment in the country and facilitating the relationship between representatives of the Russian Federation and the western media," said a Ketchum spokesperson, in a statement. "We are not advising the Russian Federation on foreign policy, including the current situation in Ukraine." Earlier this week, Russian president Vladimir Putin sent troops to the Crimean region of Ukraine to intervene in the country's political turmoil, putting a strain on Russia's relationship with the US and other western countries. US Secretary of State John Kerry visited the Ukrainian capital of Kiev earlier this week in a symbolic show of support for the fledgling government there. Protests in Ukraine began last fall when President Viktor Yanukovych formed a tighter political bond with Moscow and backed away from integration with the European Union. Riots worsened in recent months, leaving dozens of people dead. At the end of last month, Yanukovych fled Kiev for Kharkiv, a pro-Russian stronghold near the border of the two countries. 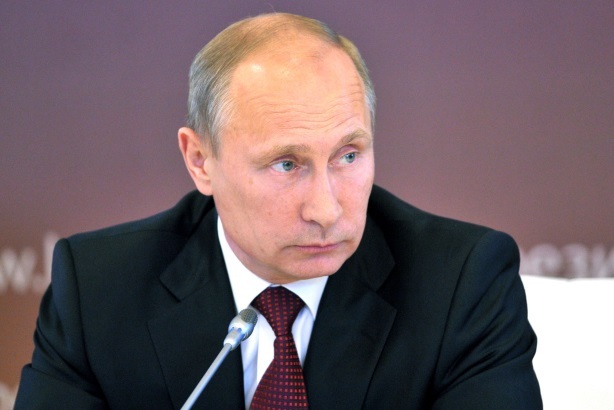 Putin has called the events a "coup," and said he is acting to protect ethnic Russians in the country. On Wednesday, Pleon Talan, Ketchum's PR agency unit in Ukraine, posted a message on Facebook from its general PR director Irina Zolotarevych about media reports it called "unbalanced and a threat to the reputation of Pleon Talan." The stories implied that Ketchum is "responsible for the anti-Ukrainian propaganda in the foreign media," according to the post. The post also said that the article did not verify facts or include an official response from the Omnicom Group agency, and it could cause readers to think Pleon Talan is involved in government issues. Zolotarevych added in the Facebook post that Pleon Talan is "never involved in any anti-Ukrainian actions or projects either in Ukraine or abroad," and it "did not initiate nor embody any project that supports Russian aggression against Ukraine or vice versa." The post also said Pleon Talan "does not work and has never been involved in work with the Russian government." Last September, Ketchum's relationship with Russia drew headlines amid the country's opposition to US actions against President Bashar al-Assad's regime in Syria. The firm said it helped to place an op-d by Putin on the subject in The New York Times, but did not help to write the piece. Ketchum began working with the Russian Federation in 2006 when it was hired to provide PR counsel and media relations support to the presidential press office as the country prepared to host the G8 Summit in St. Petersburg, the firm added in a statement. In 2007, the agency also worked on a two-month project to promote energy security, foreign investment in Russia, and the country's bid to join the World Trade Organization. The contract was worth $847,000.